If you keep up with the news, it's easy to get cynical and try to hide from the world. Faith calls us to the opposite response: hope and action. Feed the hungry. Shelter the homeless. Care for the sick. Tutor the kids who need help. Protect the vulnerable. Care for God's creation. Learn more about social problems. Lobby political and economic leaders to make positive changes. You can answer your call by getting involved in the multitude of CSC opportunities. Take a Look at What is Waiting for You in REAL Dayton! Mission of Mary is seeking young adult interns to volunteer their time at any point during the growing season March-December. The intern positions are run directly through Mission of Mary and are full time or part time and come with a stipend and possible intern housing. Nominations are now being accepted through February 15. This award recognizes the efforts of people on our campus to change the atmosphere and the potential for women’s achievements at the University of Dayton. You can nominate an individual or a group of UD faculty, staff, or students. 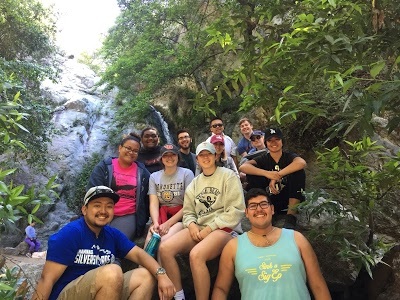 Share your gifts and broaden your horizons by joining the Marianist Universities Collaborative Immersion in Los Angeles, California. This breakout runs from May 14-22 and applications are due by February 10. Plunges are day long immersion experiences raising awareness of a social justice issue and making learning a form of service. Searching for ongoing service opportunities? Look no further. From urban farming to religious education programs, we have compiled a list of local agencies that are looking for your help. You can find the list here! 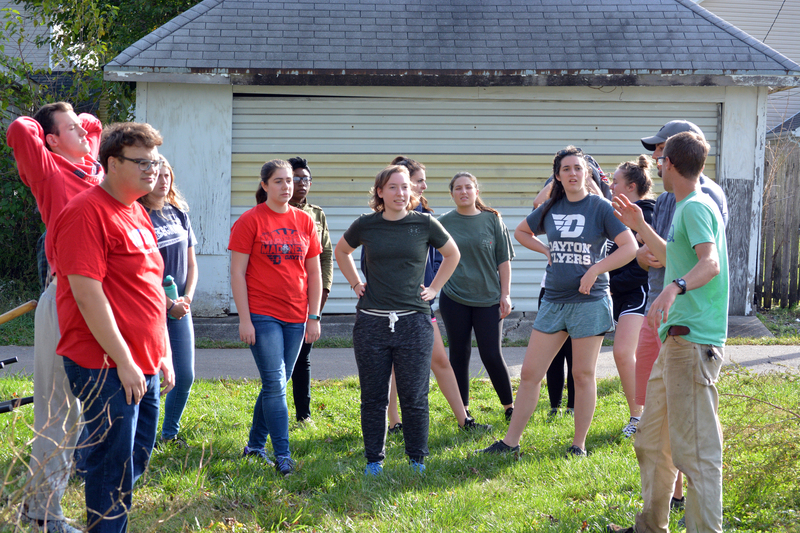 Campus Ministry's Cross-cultural Immersion Experiences are one of the many experiential learning programs featured in this excellent video. I was moved by her raw emotions as she shared her story and own experiences during the dictatorship, which lasted from 1973 to 1990. When we left the location of the mural, she gave us all hugs and said how she was so grateful we wanted to hear her story. She also said that giving her hugs gave her a sense of solace and hope for her father. The respect and compassion she showed us, without knowing us for very long, reminded me that caring for the people around me is one of the most important things in life. Your light transcends ( Tu Luz Trasciende). Seemingly out of the blue, my newfound friend turned to me and said, "Well, don't you see it? The Word is alive today." Lately there has been a lot of discussion around Immigration. Campus Ministry?s Center for Social Concern thought it might be helpful to reflect on what US Catholic Bishops have to say! So, we put together a reflection guide, for you to use in your own time, to prayerfully read and contemplate where the Catholic Church stands on issues surrounding Migration. Welcome to the second Immigration Reflection Guide. Lately there has been a lot of discussion around Immigration. Campus Ministry?s Center for Social Concern thought it might be helpful to reflect on what US Catholic Bishops have to say! So, we put together a reflection guide, for you to use in your own time, to prayerfully read and contemplate where the Catholic Church stands on issues surrounding Migration. What a privilege and blessing to present the Blessed Óscar Romero Human Rights Award to the National Conference of Brazilian Bishops' Pastoral Land Commission. I came to college pre-determined to major in Pre-Medicine with the intention of going to medical school, but the complexity of one particular experience prompted me to change my thoughts about my future. 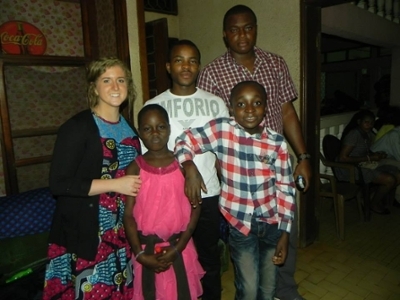 It was the summer after freshman year, when I went on a Cross-cultural immersion trip to Cameroon through Campus Ministry. 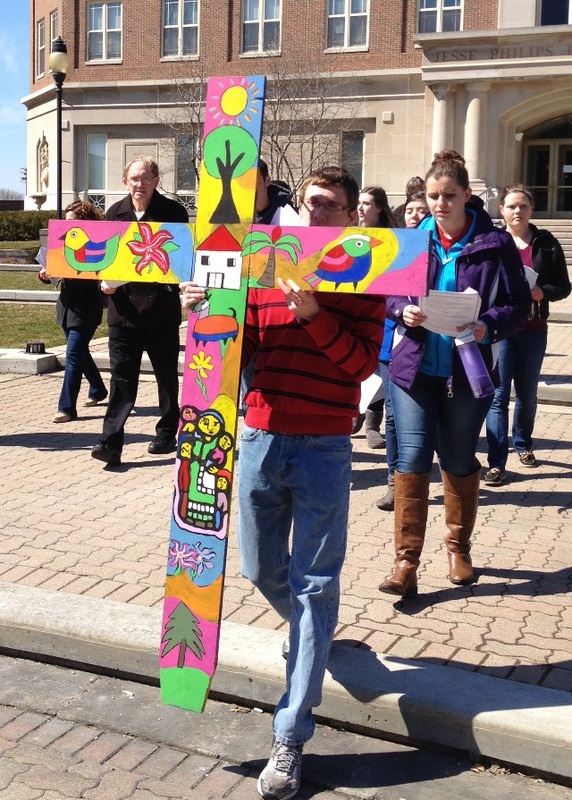 Here's what's coming up in all of Campus Ministry, including the service and justice programs sponsored by the Center for Social Concern.